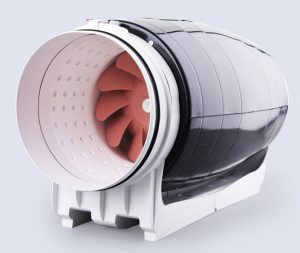 Are you looking for an inline fan? Inline exhaust fans are ducted fans that come in a variety of models and sizes. 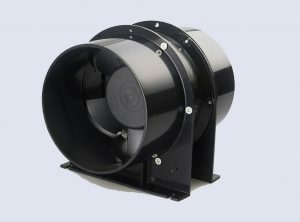 Our inline fan range covers residential, commercial and industrial applications. 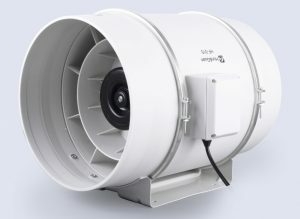 Axial inline exhaust fans have a single propeller and are good at moving larger amounts of air at low pressure, that is with a minimum of restrictions to air flow, like short lengths of duct, few bends, no branches, etc. Centrifugal inline exhaust fans move good volumes of air against high pressure. This means they can be used for longer runs of duct, branches, bends, etc. Mixflow inline exhaust fans are a mixture between the axial and centrifugal models. They have good airflow and good pressure characteristics, can be used for longer runs of duct, bends, branches, etc. 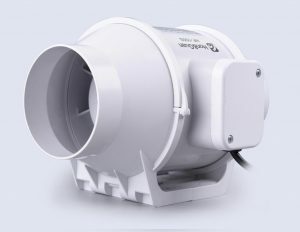 They show centrifugal fan characteristics from a size of 150mm upwards and axial fan characteristics for sizes smaller than 150 mm. Each product has detailed information on its size and capacity, specifications, pressure curves, features and accessories. Please contact us if you require any further assistance.